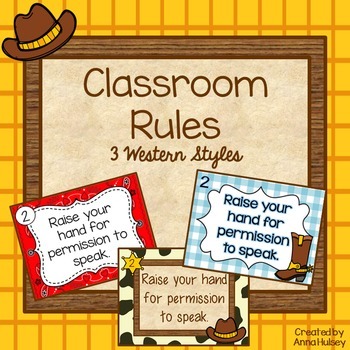 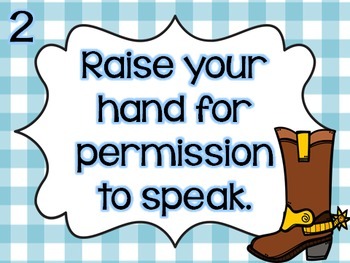 Western styled classroom rules: If you use Whole Brain Teaching in your classroom then you know how important it is to display the rules for your students! 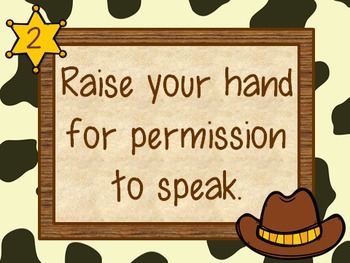 In this PDF you will get 3 western themed versions of the WBT rules (that way you have some options and design choices). 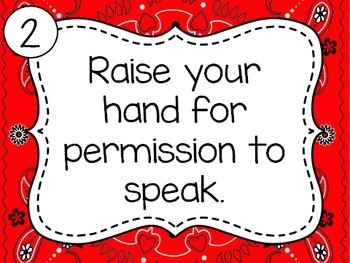 If you like what you download, then please rate my product-- and if you are going to need similar items in the future please consider following my TPT store (click on the GREEN star by my store name).